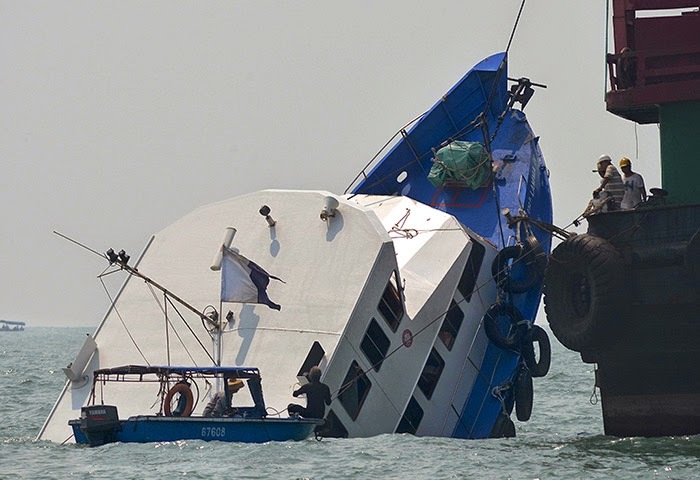 Oct. 2 - At least 36 people died and dozens more injured when a ferry sank near Hong Kong's Lamma island after a collision with another vessel. Sarah Charlton reports. How many people was the ferry carrying? What company did it belong to? Where was the ferry taking them? Where was the second ship heading? How many people were sent to hospital? Did the second boat continue its journey? Were any children among the people who died? A maritime disaster is a disaster that happens at sea. When you launch something, you begin something that requires much effort. e.g. The police have launched an investigation into his activities. There is a video transcript here.